Beautiful full-page illustrations enhance this non-fiction book about animals of the north. The content is divided into two sections—Animals of the Tundra (Lemming, Barren-ground Caribou, Peary Caribou, Arctic Fox, Wolverine) and Animals of the Sea and Ice (Amphipods, Arctic Char, Bearded Seal, Beluga, Bowhead Whale)—preceded by an introduction that stresses the importance of wildlife for the people of Nunavut. Each double-page spread is devoted to one animal, with text written in Inuktitut and English and an illustration depicting the animal in its natural habitat. Information includes the animal’s appearance, what it eats, common behaviours and traditional Inuit uses. 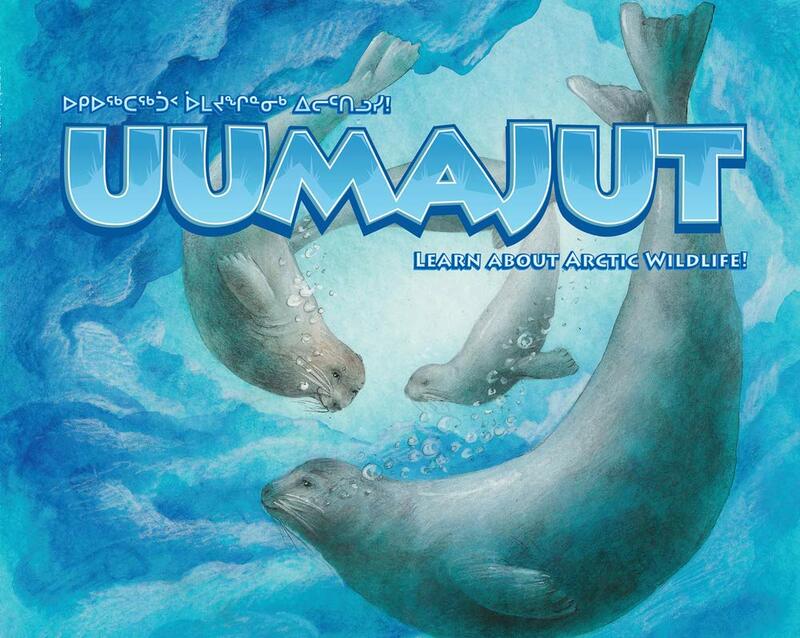 Uumajut was designed to be an introduction to northern wildlife for young readers (or listeners) and would also serve as a springboard to more advanced research for older students.